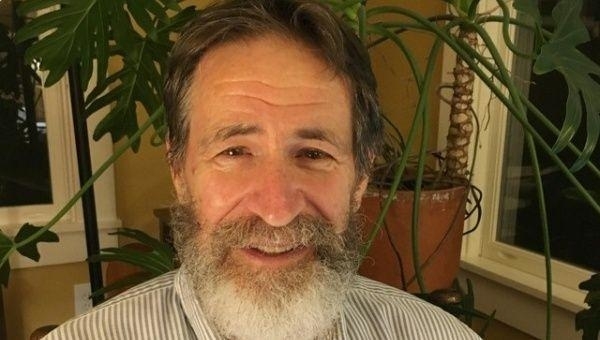 George Smith is a member of the Left-leaning Jewish Voice for Peace and a strong supporter of the Boycott, Divestment and Sanctions movement against Israel. Brainstorming inside the lab to uncover some of the deepest mysteries of nature was not all that George P. Smith, this year’s chemistry Nobel winner, has been busy with. Political activism has been the other side of his work. Smith has been a long-standing pro-Palestine activist and a vocal critic of Israel for its unabated violence in Palestine. He is a member of the Jewish Voice for Peace, a Left-leaning organisation that campaigns for end to Israeli occupation of the West Bank, Gaza Strip and East Jerusalem. Smith has also been a fervent supporter of the boycott, divestment and sanctions (BDS)movement as part of his pro-Palestine activism. Smith, professor emeritus in biological sciences at University of Missouri, Columbia, US, has been a controversial figure at his university and a target of pro-Israeli groups. His name has also appeared on the controversial Canary Mission website, which publishes online dossiers about pro-Palestine professors, students and other stuff in and outside universities. Smith’s activism is reminiscent of eminent physicist Stephen Hawking’s participation in the academic boycott of Israel. Hawking refused to go to a science conference to be held in Tel Aviv University in 2013. The conference was hosted by the then Israeli President Shimon Peres. Hawking joined the academic boycott of Israel for its perpetual violence and injustice against the people of Palestine. In April that year, the Teachers’ Union of Ireland was the first association in Europe that initiated the campaign of boycotting Israel. In America, the Association for Asian American studies also voted for supporting the boycott. Soon after Hawking’s decision of joining the academic boycott, he had to meet with abuses on social media platforms; even his physical condition was not spared from the jaws of the abusive commentators. George Smith went way ahead. He even attempted to teach one short course which was completely outside his academic field. In 2015, he offered to teach an honours tutorial called “Perspective of Zionism”. This course was supposed to include “The Ethnic Cleansing of Palestine” as a central text. This book was written by Israeli historian and anti-Zionist Ilan Pappe. This book argued that the 1948 Palestinian exodus was a result of a planned ethnic cleansing of Palestine that was implemented by the leaders of the Zionist movement. Smith’s attempt to teach this course happened to be the most controversial incident of his life. He had to face huge protests both from the university community and pro-Israel student groups. Following the outcry by the groups advocating pro-Israel stands, the University of Missouri authority cancelled the course later. The reason for cancellation was sighted as the “lack of enrolment”. Undeterred, Smith continued his pro-Palestine activism and remained vocal against the Israeli policies that caused huge humanitarian crisis in Palestine. He continues to write his opinions and letters to newspapers and magazines on the Israel-Palestine conflict. He wrote his opinions in the “Columbian Daily Tribune” in April this year where he condemned Israeli actions in Gaza. He identified himself as a member of the Mid-Missourians fighting for justice in Palestine and the Missouri Right to Boycott Coalition. Smith started his article recounting the words of Moshe Dayan, the then Israeli Army General—“Without the steel helmet and the cannon’s maw we will not be able to plant a tree and build a home. Let us not be deterred from seeing the loathing that is inflaming ... the hundreds of thousands of Arabs who live around us ... lest the sword be stricken from our fist and our lives cut down”. Smith concluded his article by supporting the BDS movement by the words—“the nonviolent Boycott, Divestment, and Sanctions (BDS) movement: Palestinian civil society’s call for the global community of conscience to ostracize Israeli businesses and institutions until Israel repudiates Dayan’s abhorrent syllogism and the Palestinian people, including the exiles, achieve full equality with Jews in their shared homeland”. Nobel Prize in Chemistry was first awarded in 1901, and since then, 177 people have been honoured with this award. But, when Frances H.
Israel is making inroads with Bollywood to fight the Palestinian BDS movement and whitewash its crimes.